Mezhenko, Yurii [Меженко, Юрій; Meženko, Jurij, pseudonym of Юрій Іванов-Меженко; Yurii Ivanov-Mezhenko], b 18 June 1892 in Kharkiv, d 24 November 1969 in Kyiv. Bibliographer, literary scholar, and collector. He graduated from Moscow University in 1917. Mezhenko was head of the Council of the National Library of Ukraine (1919–22), director of the Ukrainian Scientific Institute of Bibliology (1922–31), and editor of the journal Bibliolohichni visti (1923–30). 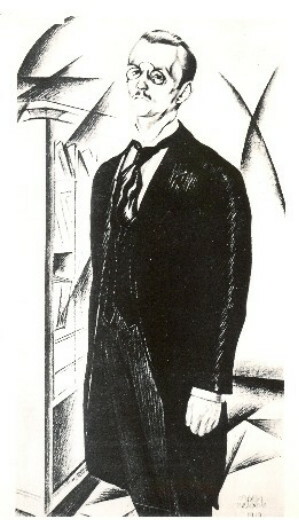 After the liquidation of the institute he was accused of nationalism and forced to work outside of Ukraine as a supervisor in the bibliographical section of the State Public Library in Leningrad (1934–45). 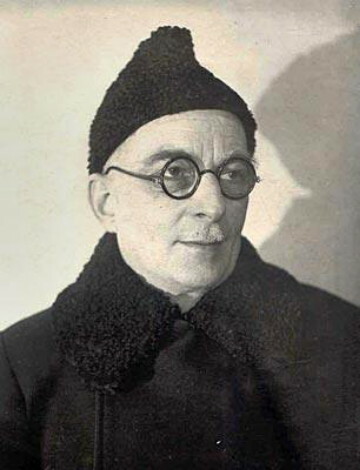 He subsequently returned to Ukraine and assumed the directorship of the Central Scientific Library of the Academy of Sciences of the Ukrainian SSR (1945–8). From 1911 to 1962 Mezhenko amassed a unique collection of Shevchenkiana (publications related to the life and work of Taras Shevchenko), which he bequeathed to the Institute of Literature of the Academy of Sciences of the Ukrainian SSR. He wrote over 150 works, of which most are concerned with library science (including reviews of the literature), and some deal with the history of literature and theater. Among them are Bibliotechna tekhnika (Library Science, 1922), Pro perepys bibliotek URSR (Concerning the Inventory of Libraries of the Ukrainian SSR, 1926), Knyzhkova produktsiia na Ukraïni v 1917–1921 rokakh (Book Production in Ukraine in 1919–21, 1927), and Materiialy do Shevchenkiiany za roky 1917–29 (Materials on Shevchenkiana in 1917–29, 1930). In the early days of the Ukrainian struggle for independence (1917–20) he wrote philosophical essays, such as Tvorchist’ indyviduuma i kolektyv (Creativity of the Individual and the Collective, 1919), in which he proposed that the nation was ‘permanent and lasting,’ and that writers were the purveyors of ‘national urges and demands.’ Under Soviet rule he was unable to continue writing in that vein, but he managed to produce articles of interest, including ‘Pro V. Kobylians'koho’ (About V. Kobyliansky, 1920) and ‘Tvorchist' M. Khvyl'ovoho’ (The Works of M. Khvylovy, 1923).